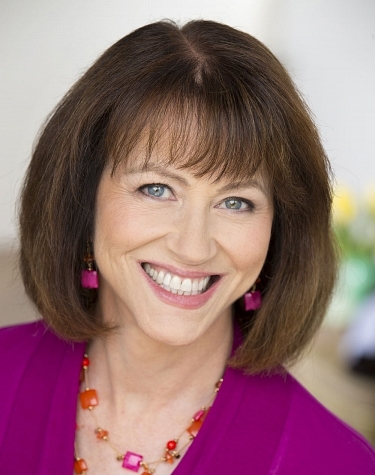 ...a truly gifted and outstanding speaker/teacher... an unlimited resource. Posture, Get It Straight! Look 10 years younger, 10 pounds thinner and feel better than ever! Posture affects how you look, how you feel, and how you are perceived by others. Ever caught your own relfection in a window or mirror to see that your head hangs too far forward from your shoulders or that your upper back or shoulders are too rounded or your belly protrudes too much? Slouching immediately makes your mid section a couple inches wider than it really is and puts uneven pressures on your neck and spine. Poor posture is the #1 cause of back and neck pain. The good news is no matter how bad you think your posture is or how long you've had poor posture, IT IS NEVER TOO LATE to improve. You can injoy the rewards of better posture TODAY! See how your posture stacks up. Customized Group Seminars or Individual Consultations that Inform, Inspire and Motivate. 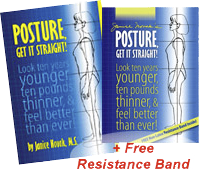 The Book & DVD: "Posture, Get It Straight!" Fully illustrated with specialized info on computor comfort, cars, sleeping, pregnancy, osteoporosis & more. The DVD contains all of the posture exercises and is formatted in 10-15 segments so you can address problem areas first. Please enter your email address to recieve the newsletter in your inbox.